That horrible moment when you realize that you have been updating your store (installing mods or doing some sort of maintenance) and you realize that your store is still in maintenance mode! You haven’t noticed because as an admin, you still have access to the store front while you are logged in! Its one of the problems with the built-in ocmod system that every time you install or update a ocmod modification it puts it in maintenance mode. It used to annoy me so much, I wrote this mod. 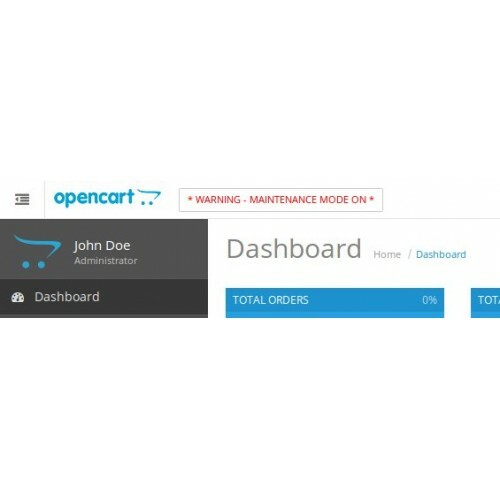 It simply displays a text box at the top of the admin pages so you cannot possibly forget your store is in maintenance mode!